Shazam has added Augmented reality features to its popular audio recognition technology called Visual Shazam that offers users an interactive experience through scanning various products, QR codes or print ads. Shazam briefly hinted on these changes during the Consumer Electronic Show in Las Vegas in the first week of January. Shazam said then it was planning to expand beyond the music and audio recognition technology into the visual space. With the new features, users simply open the app and tap the camera icon, they can then wave their phone over any item with the Shazam logo or a QR code and they are able to receive custom content and interactive content on their mobile phones that allows them to see special offers, make purchases as well as share the same with others. This functionality will work hand in hand with existing Shazam audio functionality that allows people to listen to music and watch TV. Shazam has partnered with Levis, Time, Wallstreet Journal and Disney for the promotion of its new movie Tomorrowland. 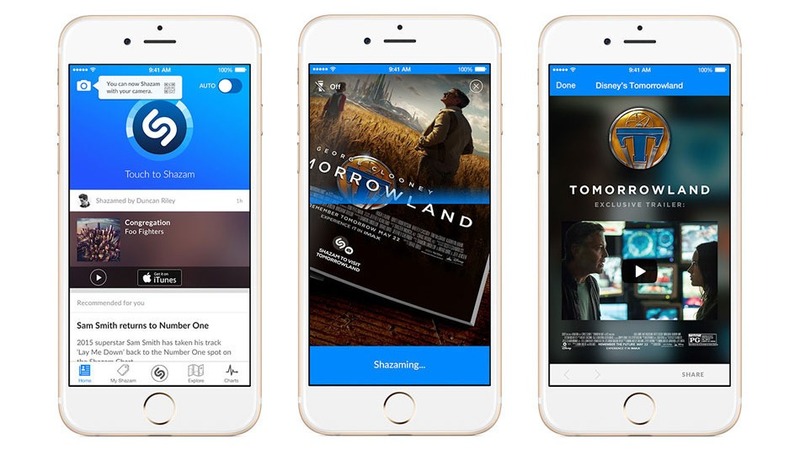 Shazam says the engagement offers brands, a near-frictionless way to engage customers on their mobile devices, with a single tap of a button. Shazam recently partnered with Google where it was added as a command into Google’s Android operating system such that when a users asks their android device to “Shazam,” “recognize,” or “name” a “song,” “track,” or “tune,” the Shazam app will launch, and the song can be saved to a playlist for later listening. In addition, Google Play integration allows for one to play and buy music users have discovered with the application thus allowing direct purchasing from the online store.